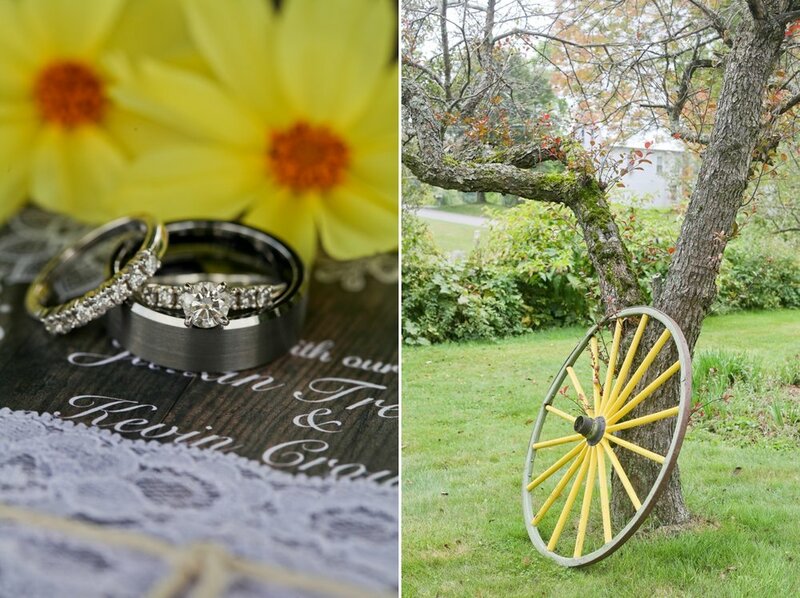 Jill and Kevin were married in September at the rustic Belgian Meadows Farm in Lebanon ME. Farm weddings bring a natural, earthy and easy going style to a wedding and this was the exact vide these two were going for. Jill's reception centerpieces were gorgeous! Sunset Photos!! It's so nice to take a few mintues during "the golden hour" for a couple of B&G photos.